Happy Leap Day! I’m ready to leap for joy. Why? I have freebies for bird lovers, book lovers, and more—all geared to make your job easier and fun! Ready to fly? I have free activities and lesson plans that are for the birds—literally! Boost grades 2–3 and 4–5 students’ reading comprehension, vocabulary, grammar, math, and more while teaching about birds in the US. Click here. Beverly Cleary will turn 100 years old on April 12. To get ready for the occasion, HarperCollins has special book editions plus an interview with Beverly herself. Don’t forget, April is D.E.A.R. month too, centered around Beverly’s book Ramona Quimby, Age 8. Visit www.BeverlyCleary.com or keep up to date at facebook.com/ beverlyclearybooks. Ready to raise funds? 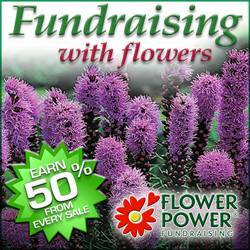 Flower Power Fundraising offers a green, fun, and unique option. Your school can earn a 50% profit with top-quality bulbs that are shipped directly to your supporters. Customer service is also available to walk you through your campaign. Find out more here. Don’t forget; you need to post a comment for your chance to win the book. PS: World War II, kids shipped out of London, a physical handicap, and acceptance: you can get a free educator’s guide for the Newbery Honor book The War That Saved My Life. It aligns with the standards for English language arts and history and social studies for grades 5–7. Click here. I like the Education in Nature site. There are a lot of different activities I want to use with my class. 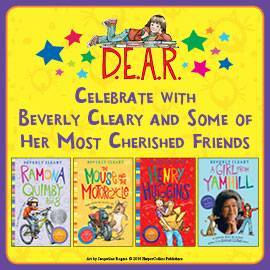 Beverly Cleary is the best! Way to go Beverly. I love Smithsonian! I can’t decide which I like best so will mention my top two favorites- the Smithsonian and Beverly Cleary ideas. Beverly Cleary is always in our library. I have never heard of the Education in Nature website. I will be using this for my own child as well as school. Thanks for sharing! The Education in Nature program looks so cool! How fun! Birds, books and flowers….birds, books and flowers…birds books and flowers…everything you need for spring!!! I am doing a mini unit for music on birds. I teach toddlers to pre-k and this book would be a great addition with lots of pictures. Please pick me! Everything you need to know bout birds would be the perfect addition for our bird sanctuary field trip! We have a dear friend that is dying with cancer — his whole life has been dedicated to birds! He would love this book!! My kids would love the Everything about birds. Our curriculum we talk about wild animals and the birds are one of the top is. Would also help to answer questions they may have! 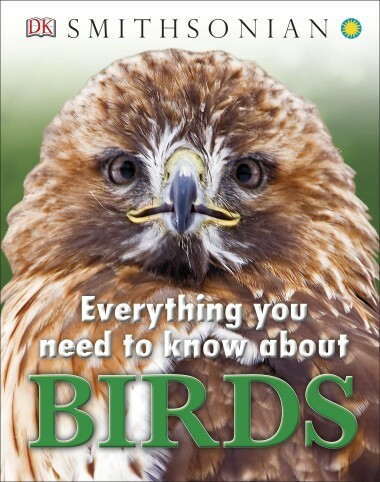 This book Everything you need to know about Birds would be a great addition to my library. We are learning all about birds including their habitat, food sources, predators and defenses. My class would love the bird book! It would really come in handy when we research animals.